When you’re going through cancer treatment, it’s important to ask your doctor and cancer care team all your questions. It will prepare you for for treatments, while helping your family to understand how to best support you. Not sure what to ask? Find some suggestions. When you’re going through cancer treatment, it’s important to ask any and all questions you have. It will help you prepare yourself while also allowing your family to understand how to best support you. In particular, you want to be sure you understand any cancer treatment you’ll receive, including its benefits, drawbacks and side effects. You also want to prepare for the day-to-day impact on your schedule and life. Has your doctor recommended radiation therapy? This is a treatment that uses high-energy radiation to shrink tumors and kill cancer cells. There are three main categories of radiation therapy: external beam, internal radiation, and systemic radiation. About half of patients receive some type of radiation therapy during treatment. 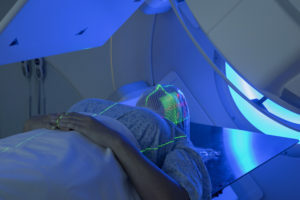 Find out more about each type of radiation therapy. Not sure what to ask? Find some suggestions below. You can bring a notebook with you to write down answers, or even enlist a loved one to come along and take notes. What type of radiation will I receive? How flexible is the radiation schedule? Can I work while receiving radiation? Will the side effects impact my life? How can I best manage the side effects? Are there any restrictions before, during or after radiation? In general, keeping a line of communication with your doctor and healthcare team will help you through the treatments. It’s also important to understand the overall goal of each treatment.